Even if you prefer using Windows operating system on your desktop doesn’t mean you should choose this type of hosting for your website. There are plenty of other features to consider choosing the best hosting solution for you. If you want to create a website with static web pages, for example, blog, Windows as well as Linux will be perfect. Such sites use CSS and HTML only that are supported by both operating systems equally. In case you need to create dynamic content, for example, forums or eCommerce facilities, the hosting platform is the first thing to pay attention to. Most web site developers offer you to choose Linux hosting because it is considered to be more stable and secure platform than Windows. Of course, it may be the case if compare various viruses for Windows systems and rare bugs for Linux. However, the most important is to choose reliable and professional server administration that provides you with Windows hosting as secure as Linux host. 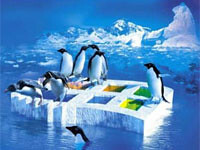 Linux is an open source platform that is used with PHP or Perl. Linux servers are used for such scripts as Drupal, WordPress, Joomla and some other blogging or content management systems. Windows servers are used for the scripts written in ASP, ASP.NET or Access. Note that MySQL databases work equally with both operating systems. Today you also can choose cross-platform scripting that allows you to perform scripting with PHP/Perl on Windows or with ASP/ASP(dot)NET/Access on Linux. Such solutions are provided by some ISPs. However, such cross-platform scripting doesn’t provide you with as good performance as with programs running on their native platforms. So, choose the platform that seems to be the best for you. Of course, there is an exception. PHP runs equally on both Linux and Windows. Thus, Linux-based hosting is not crucial to run PHP-based scripts. What is more, if you want to switch for another platform, it will be much easier to transfer from Linux to Windows hosting. ASP vs PHP – What’s the Difference? Both – ASP and PHP – are used to create dynamic content websites to exchange information freely and interact with databases. Being a Microsoft product, ASP as a rule is used with the IIS (Internet Information Sever) that runs on Microsoft services. In other words, Windows hosting is the best solution for this language. PHP usually runs on Linux servers. Everything depends on your preferences. If you like C++ language and feel comfortable with it, PHP is your choice. ASP has more Visual Basic feel that is related to Microsoft products. If you like Microsoft and its products, then ASP can be the best solution for you. Talking about the compatibility PHP is a winner, because it can be run on various platforms including Unix, Linux, Windows and Sun Microsystems’ Solaris. ASP is used for Windows platforms only. However, you can use ASP with Linux hosting if a ASP-Apache is installed on the server. Anyway, don’t forget that the best option to run programs smoothly is to choose their native platform. Speed is the other option to consider. And this time ASP wins the battle. However, to learn ASP is harder than to deal with PHP. It may lead to more time spend and more efforts taken to create your website. Maybe, that’s why PHP remains to be one of the most popular scripts. PHP hosting is cheaper than ASP. The reason is simple. PHP runs on Linux that is open source operating system with plenty of applications available to everyone. 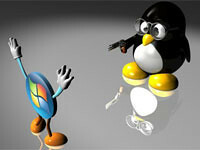 Windows operating system is owned by Microsoft. Thus, Windows server is more expensive to set up and run. Some other Microsoft products necessary to create a great website are also require extra cost. PHP offers various applications available for free. However, the price is not the only factor that should influence your choice. Choose the type of hosting that is easy to work with. That will save your time and money for sure.